Did you know there are many different types of phosphates? In the water treatment business, most of us use “phosphates” as a general term to describe them all…but sometimes that can be misleading. There are so many types of phosphates and they react differently. This article is the result of extensive--and at times, boring--research. We do not pretend for a moment that we know all this detailed information by heart…nor do we expect you to. If you want to learn more, all of this chemistry information is available online. Just check our sources that we hyperlink to. As usual, we are attempting to simplify and distill the information so it is easier to understand, and applies to you, our audience. Organic phosphates are esters of phosphoric acid, also known as orthophosphoric acid (H3PO4). Okay…so what are esters? An ester is what you get when an organic substance (usually a hydrocarbon or alkyl) replaces a hydrogen atom in an acid. This swap (hydrogen replaced by an organic hydrocarbon or alkyl) makes the substance change from inorganic to organic. According to the National Institute of Environmental Health Sciences (a division of NIH), organophosphates are a key ingredient in about half of known pesticides and nerve agents. To be clear and distinguish this from the previous statement, we are now talking about organic phosphates specifically...not other esters (fats). Click here to see examples of organic phosphates. Fortunately, organic phosphates are not common in swimming pools. Now let's get to the more common phosphates that we deal with in the water treatment business: inorganic phosphates. Orthophosphates are also called reactive phosphates. They are the most common in water treatment situations, as they directly contribute to the eutrophication of a body of water. 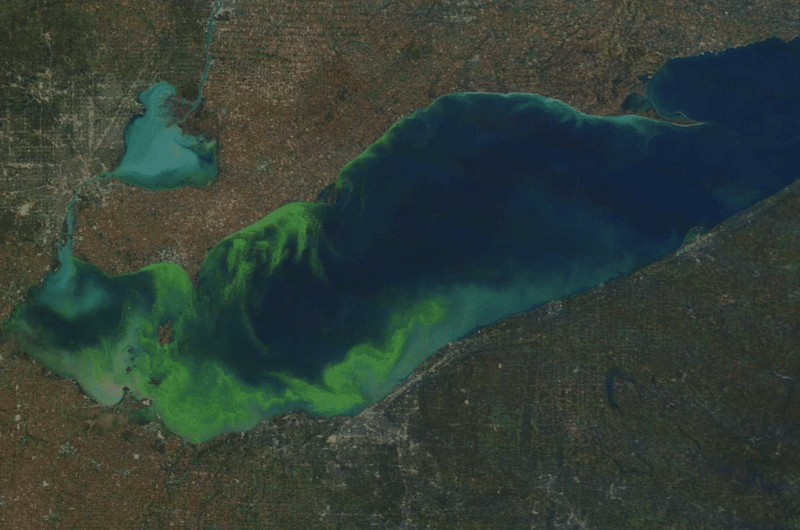 Eutrophication is the enrichment of nutrients for plant growth in water, leading to problems for the ecosystem. Algae, anyone? Orthophosphates are found naturally in the environment and in water, but are also artificially added to fertilizers. In swimming pools, orthophosphates are the most prevalent of all types of phosphates. Usually, when people in the water treatment business talk about "phosphates", they are referring to orthophosphates. 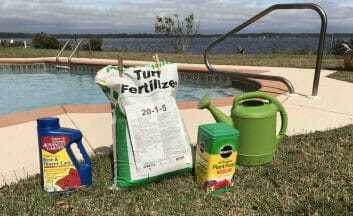 Fertilizers contain phosphates. With rain and wind, these phosphates often find their way into swimming pools. 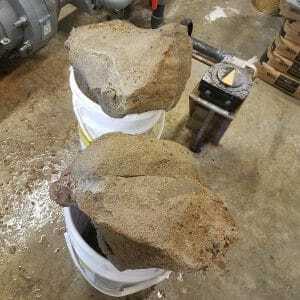 Calcium phosphate can harden in sand filters, making it almost like concrete. Hard to believe, but real. 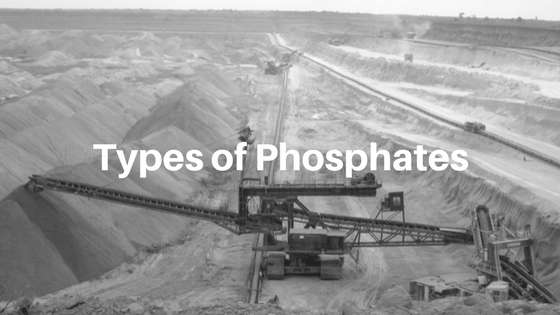 There are too many variations of phosphates to write about. It seems like any combination of P, O, H and numbers, + and - signs can be a type of phosphate. Given that we are not chemists, it gets daunting. We know. Hopefully, this article has simplified the chemistry so it is easier to understand. Watch PR-10,000 Phosphate Remover in action!